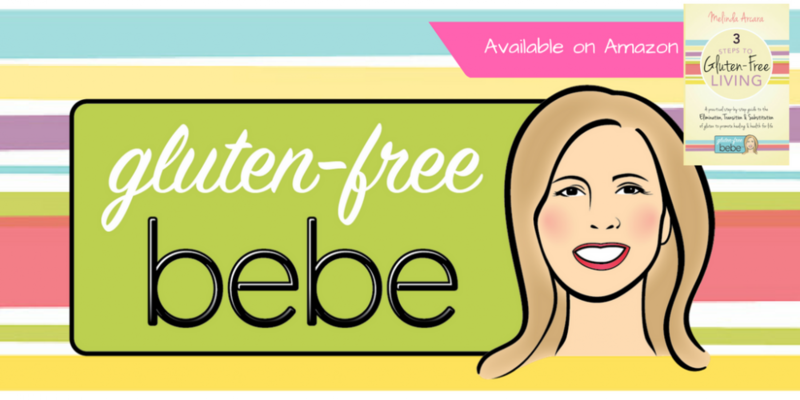 Gluten-Free Bebe's Blog | Answers the question "Where do I start?" Everyone talks about fiber and how we need to eat more of it. Our bodies ask for it every day by giving us clues on what kind it needs. To be honest with you, sometimes when I eat too much fiber, I just don’t feel good. So, instead of suffering from eating too much, or too little, I’ve decided to do a little research on this carbohydrate (starch) and see if I can figure out what kind of fiber my body is asking for. The first thing I learned from researching is that dietary fiber is found only in plant foods and amazingly humans don’t have the enzymes to break it down, so really, we can’t digest it. Whole grains, for example, contain a lot of fiber, which we start to breakdown in our stomachs and small intestines. But the fiber just passes through to our gastrointestinal tract like a broom to sweep out the digestive tract. Once it reaches the large intestine, it becomes fermented by our gut microbiome where it turns in to short chain fatty acids (SCFA) that travel through our body, through our blood stream, for energy, or used by intestinal cells. Although whole grains contain a lot of fiber, fruits, vegetables and legumes (especially Mediterranean diet types) create the best fiber with the most SCFA. There are two types of fiber, soluble and insoluble. Each has a benefit in the digestive tract and knowing which type your body needs, can help prevent (or alleviate) unwanted symptoms like diarrhea or constipation. Soluble fiber attracts water like a sponge and turns to gel during digestion, which slows digestion. As you can tell from the description, soluble fiber would be good for anyone suffering from diarrhea or loose stools. Because it slows how fast foods are digested, it can help lower blood sugar, which is a great choice if you battle with diabetes. It also makes you feel full longer which can aid in weight loss. This type of fiber is fermented by gut bacteria in the large intestines and provides nutrition to the microbiome. Oats, oat bran, dried beans and lentils, carrots, applesauce, pears, oranges, strawberries, bananas, onions, chickory, sunchokes, avocado, potatoes and sweet potatoes, sunflower seed and brussels sprouts. Insoluble fiber passes through the gut quickly, which makes it the perfect choice for anyone suffering from constipation. This type of fiber doesn’t provide the body with nutritional needs or feed our microbiome, but it does keep things moving through the colon and keeps things “cleaned out”. This type of fiber helps prevent infections of the gut, hemorrhoids, heart disease and may prevent some types of cancers. Insoluble fiber comes from fruits with skins, uncooked vegetables, nuts and bran, brown rice and whole grain flours and is more rough on intestinal lining than soluble fiber. Zucchini, broccoli, cauliflower and cabbages, leafy greens, uncooked vegetables, raw peppers, flax and chia seeds, whole grains, fruits with skins and berries, nuts and legumes. One last thing to keep in mind about fiber. If you are bloated, have abdominal pain and fatigue after eating fiber, you may want to get tested for something called Small Intestinal Bacterial Overgrowth (SIBO). SIBO happens when bacteria in the small intestine get out of balance and over grown. Although there can be almost 1,000 different species of bacteria in our gut, most is meant to be located in the large intestine and colon where they help to breakdown food. When there is an imbalance in the gut and more bacteria starts to grow in the small intestine, it can create a multitude of symptoms from abdominal pain, bloating and food intolerances to physical pain, fatigue and unexplained vitamin and mineral deficiencies or leaky gut. As I learned from Dr. Amy Myers article titled 10 Signs You Have Small Intestinal Bacterial Overgrowth (SIBO), the good news is that there are several tests that can diagnose SIBO and it can be treated with dietary change, antibiotics and/or probiotics. It’s certainly worth mentioning to your doctor if you feel there is an imbalance in your gut from poor diet, overused antibiotics or autoimmune conditions like Chrohn’s disease. After all this research, the one take away I learned is to increase fiber slowly to prevent your stool from moving too quickly or too slow. You will also want to drink plenty of water to turn that soluble fiber into the gel consistency that your body needs it to be in to aid digestion and push that insoluble through your digestive tract and through your colon. Fiber can’t do its job without water, and you don’t want to create and imbalance in the gut, which could lead to other problems like SIBO. As you can see, the choices of fiber is important to your health so listen to your body, it will tell you what you need. Allison Webster, R. (2019). Gut Check: Whole Grains and the Microbiome – IFIC Foundation. [online] IFIC Foundation. Available at: https://foodinsight.org/gut-check-whole-grains-and-the-microbiome/ [Accessed 1 Mar. 2019]. Mayo Clinic. (2019). How much fiber is found in common foods?. [online] Available at: https://www.mayoclinic.org/healthy-lifestyle/nutrition-and-healthy-eating/in-depth/high-fiber-foods/art-20050948 [Accessed 1 Mar. 2019]. Stop Colon Cancer Now. (2019). High-Fiber Diet Shown To Boost Colon Health. [online] Stopcoloncancernow.com. Available at: https://www.stopcoloncancernow.com/spread-awareness/news/high-fiber-diet-shown-to-boost-colon-health [Accessed 1 Mar. 2019]. Myers, A. (2019). 10 Signs You Have Small Intestinal Bacterial Overgrowth (SIBO) – Amy Myers MD. [online] https://www.amymyersmd.com. Available at: https://www.amymyersmd.com/2018/04/10-signs-small-intestinal-bacterial-overgrowth-sibo/ [Accessed 1 Mar. 2019]. BMJ. “High dietary fiber intake linked to health promoting short chain fatty acids: Beneficial effects not limited to vegetarian or vegan diets.” ScienceDaily. ScienceDaily, 29 September 2015. <www.sciencedaily.com/releases/2015/09/150929070122.htm>. O’Brien, MS, S. (2019). Top 20 Foods High in Soluble Fiber. [online] Healthline. Available at: https://www.healthline.com/nutrition/foods-high-in-soluble-fiber [Accessed 1 Mar. 2019]. Decker, F. (2019). Best Sources of Soluble Fiber From Natural Foods. [online] Healthyeating.sfgate.com. Available at: https://healthyeating.sfgate.com/sources-soluble-fiber-natural-foods-2125.html [Accessed 1 Mar. 2019]. For a Celiac sufferer, nothing should pass by the lips that could damage their already fragile intestinal tract. Most importantly, they must avoid anything that could contain gluten. In case you don’t already know, gluten is a protein that is found in many grains, but most commonly in wheat, barley and rye (there are many others). Ingesting any gluten containing grain will trigger a reaction in the intestines of a Celiac (an autoimmune disease), causing their villi (tiny finger like hairs) in the gut to atrophy (or shrink). This reaction prevents nutrients from being absorbed into the body, thus creating nutritional deficiencies and a multitude of symptoms (bloating, gas, diarrhea, pain, anemia, etc.). In the non-autoimmune condition called Non-Celiac Gluten Sensitivity (NCGS), the symptoms range even farther than just intestinal. Many suffer from anxiety, depression, joint pain and migraines, just to name a few. For a wheat and/or gluten allergy, sufferers must carry an EpiPen to counteract the anaphylaxis response that could be generated from ingesting ingredients. Three designations of gluten disorders, but all with the same result…ABSOLUTELY NO EATING GLUTEN. Avoiding gluten containing grains is stressful enough, but my feeling is that they should not only avoid gluten, but try and stay away from foods that don’t support a healthy immune system (i.e. sugar, food dyes, processed foods, etc.). My recommendation is to choose naturally gluten-free foods to support the immune system. We naturally are what we eat, so choosing quality foods is important for anyone with a compromised immune system. One way to support a healthy immune system is to eat foods that are whole, clean, local, seasonal and organic. I’m not saying that prepacked gluten-free products don’t have a place, but keeping balance in your diet is an important practice. Where is the best place to do that? One place to start, is shopping on the outside aisles (fresh produce, dairy and meats) of the grocery store. BUT, the best place to shop, is the local farm markets in your town. Here in Eastern, Pennsylvania there are farm markets almost every day of the week from spring until late fall. Finding a winter market takes a little more work, but they are there. Wednesday is farm market day in my town and quite honestly, it’s the best day of my week. Buying local is good for everyone! Supporting local farmers keeps money and jobs close to home, helps preserve farms, open space and supports families in our community. And just as important, foods locally produced can help heal the body. Nutrient content goes down as soon as fresh foods are picked, therefore, the closer to home the food is grown, the more nutrients it will have. This is not only true for fruits and vegetables, but meat, poultry and dairy as well. In my opinion, local ingredients produce more flavorful foods as well. Fresh picked ingredients are usually in the hands of consumers within 24 hours of harvesting. Compare that to foods grown and picked on the other side of the earth that are shipped to warehouses before getting into stores. It could take weeks to get to you, after being picked, which certainly affects taste and nutrients. Another thing to remember is that many foods are picked before fully ripened and exposed to ethylene gas to change their appearance to look riper. Tomatoes are a good example of this, they are picked green and unripe, then gassed with ethylene to give their appearance a more red and ripe look on the outside. Food can stay on the vine longer when grown locally, since transportation distances to stores is closer, which helps their flavors build. 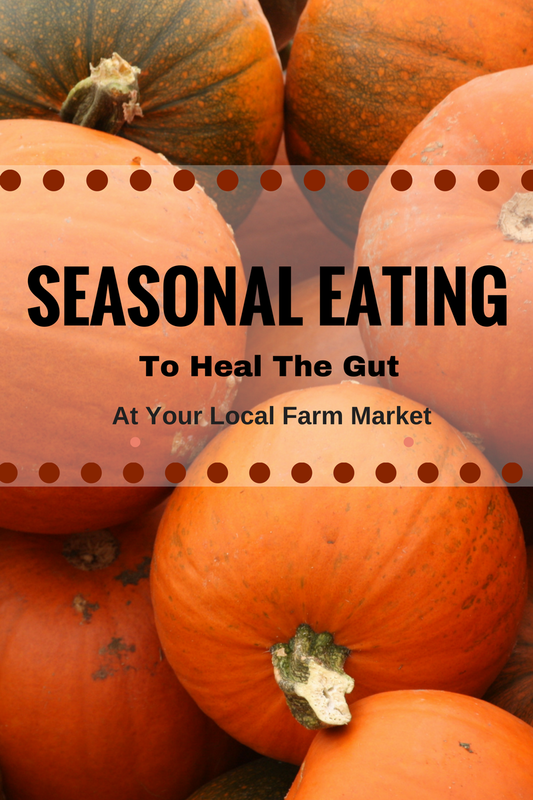 The other wonderful benefit of farm markets is finding seasonal foods to eat. Why does eating seasonally matter on a gluten-free diet you ask? Our bodies adapt to the environment we live in, specifically the different seasons/climate in the geographic area. Seasonally rotating foods in (and out) of our diet keeps our immune system in balance. Eating foods out of season (or climate) can overload our systems, which may contribute to food intolerance/imbalances and disrupt our immune system. A good example of eating seasonally is preparing our bodies for winter. 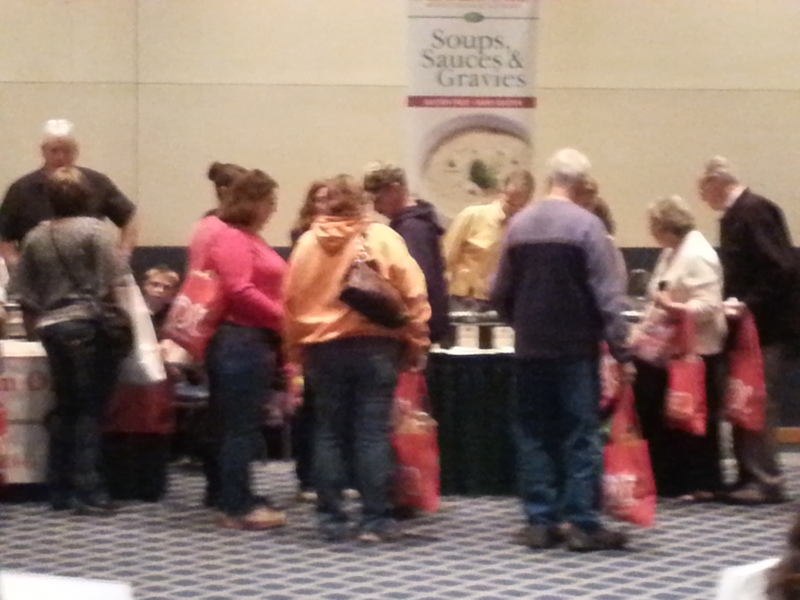 The foods available here in Pennsylvania during fall are high in vitamins A, D & C (immune supportive) rich foods. Winter squashes, like pumpkin, butternut and delicatta, as well as ginger, onions, peppers, apples, pears and honey help to make our immune system strong for the coming cold winter. Eating fats in winter helps to keep us warm and conserve energy. Low sodium foods, beef, eggs, mushrooms, dairy and root vegetables support our systems and help keep us warm in the winter. In spring, there will be more cleansing choices to help detox our bodies from winter. Dark green leafy foods (lettuce, kale, spinach, arugula, etc.) help clean out the liver from the heavy fats consumed in winter. Summer foods provide liquids to prevent dehydration and keep us cool (melons, cucumbers, strawberries, blueberries and lean meats and fish). Finally, a note on eating organic whenever possible, is always a plus for the gut. Less pesticides and fungicides on our foods means less in our bodies. Remember, USDA certified organic means NO GMO ingredients or hormones can be used in foods including livestock. It’s also better for the environment with less run off into our water and in the air. My recommendation has always been to try to buy fresh and local whenever you can and maybe do a little preserving or freezing in the summer to enjoy locally produced foods all winter. 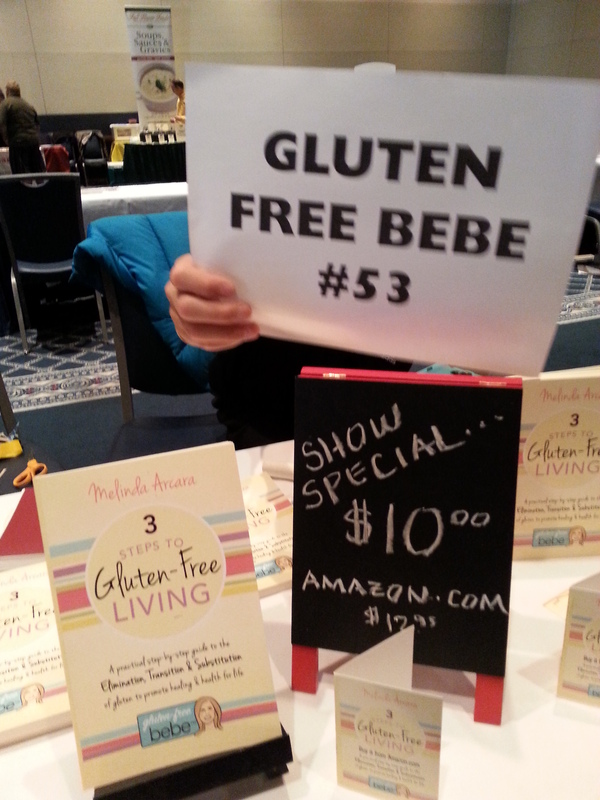 To learn more about eating seasonally buy my book, 3 Steps to Gluten-Free Living on Amazon. I’m sure you’ve heard the term “fashionista” as an endearing term for anyone that frequently buys clothing from Target retail stores. If you aren’t familiar with Target, it is the second leading upscale discount retailer in the US and they have a lot of really cute clothes. Matter of fact, I always tell my husband how lucky he is to have a wife that buys her clothing (and children’s clothes) from Target (pronounced Tar-Jay to sound more French and fancy). But, I’m here to coin a new title for Target. I am not only a “fashionista” I am also a “Gluten-Freesta.” This is a new term (that I just made up) for someone who frequents the store for their many gluten-free offerings in the grocery section of the store. I’ve been gluten-free for over seven years and have seen many changes in retail over this period of time. It used to be difficult for anyone required to eat gluten-free to shop. Matter of fact, I can remember standing in the aisles of grocery stores reading label ingredients for hidden names of gluten for long periods of time. Traveling to 2-3 different stores to get the products you needed for recipes was expected, but since the FDA’s gluten-free labeling requirements came into effect in 2015, labeling has only gotten better for the Celiac and gluten-intolerant. No longer do sufferers have to read the ingredient lists line item by line, but instead just look for the GF certification symbol on the package to ensure its safety. Thankfully, Target has embraced the gluten-free food market and now offers many different gluten-free products in their grocery section. It’s a one-stop-shop for everything gluten-free. For anyone not familiar with Target’s gluten-free product line, and to secure the name as the very first “Gluten-Freesta” here is my tour of products for your convenience. Keep in mind that not all Targets carry the same products, so if you don’t find what you’re looking for at one Target, go to another and see what they have on their shelves. As a Gluten-Free Health Coach, I must encourage seeking out naturally gluten-free products first in any grocery store setting. In a standard grocery store, that means shopping on the exterior aisles of the grocery store which include the fresh produce, dairy and fresh meats. All Targets are set-up a little different, but their grocery section puts the fresh produce, meats and dairy together in the same area for convenience. Naturally gluten-free foods like fruits and vegetables are always safe for a gluten-intolerant to eat, so stock-up here first. I found some great fresh salad dressings, hummus packs, yogurt and lunch snacks in this section so be sure to look on all the shelves for products. I love the fresh meat department specifically for their chicken tenders because they label them as gluten-free. If you didn’t know, some meats contain fillers or flavorings that could contain gluten, so read every label. In the refrigerator section behind the dairy items, they carry several brands of gluten-free lunch meats (my fav is Applegate Farms) and cheeses for kids lunches and sandwiches. After you stock up on fresh ingredients, you can get what you need to make your breakfast smoothies. I like to grab my almond milk (or soy, rice or regular cows milk) as well as various juice blends and frozen fruit, which is all in the same area of the store. As you head down the aisle, you can pick-up a gluten-free pizza and head into the frozen food section for any frozen veggies you couldn’t find in the fresh section of the store. I’m lucky because both of the Targets in my town have freezer space specifically for their Udi’s gluten-free items. I love Udi’s gluten-free tortillas, bagels and bread, but they also carry some Udi’s frozen meals as well. They do carry fresh Canyon House breads near the potatoes and onions in the center aisle of the fresh produce section if you prefer bread not frozen. How convenient that they carry 2-3 different gluten-free breaded chicken nuggets and strips in the freezer section for a quick dinner. Breakfast is my favorite meal of the day and there are lots of frozen gluten-free breakfast items to choose from. Gluten-free waffles and french toast are all available in the freezer section to pop into your toaster. Heading into the dry goods of the store, you are in gluten-free heaven. Gluten-free products are conveniently labeled with a grey dot next to the pricing tag on the shelf. So look for those as you go down the aisles. Target’s own Simply Balanced products are priced competitively and taste just as good (if not better) than the branded products. I’m a big Barilla pasta fan, but they also carry Ancient Harvest quinoa pasta. I’m seeing more and more gluten-free labeled Indian and Asian products on the shelf, which I love! Lunch is my MOST hated meal of the day. My husband is Celiac and currently very paleo and my recently gluten-free son requests socially acceptable gluten-free products for his lunch and his sister is gluten-full, so its the meal I struggle with the most. But thankfully Target has something for everyone. Nut butters (Simply Balanced almond butter is a MUST) and jellies are all in the same section and labeled as gluten-free. There are even some quick grab gluten-free snack boxes from Picnic and Annie’s brand microwave macaroni and cheese to send in for lunch with a Kind bar or Annie’s granola bar. For the paleo husband, I pick-up different flavors of jerky, nuts and seeds to send in his lunch. They even have dehydrated fruits (strawberries, apples, etc.) that everyone in our house fights over. The snack section of our pantry is filled with lots of gluten-free products from Target. Simply Balanced nut crackers for entertaining and some Doritos and chips for my son to devour. Anyone that isn’t gluten-free would enjoy them as well, so no need to buy separate brands for the gluten-full eaters that come over to visit. As if that wasn’t enough products to convince you that Target is the place for all your gluten-free shopping, there is a plethora of gluten-free baking products, spices, flours and mixes in the baking aisle. Gluten-Free Bisquick is a MUST in our house! And now for my most hated aisle in ANY store, it’s the place where the most arguments with my children occur in public…the dreaded cereal aisle. Thankfully Target offers lots of gluten-free and gluten-full options (for my daughter). Trying to get out without 10 different boxes is always a challenge. Our favorite is Chex brand, but now they carry gluten-free Cheerios in many different flavors. I love all the different granola’s that are available for a quick breakfast with fruit for me. So, as you can see from this long and detailed post, I deserve the title as first “Gluten-freesta.” To learn more about the products and retailers I recommend, please purchase my book, 3 Steps to Gluten-Free Living from Amazon.com or visit my website www.glutenfreebebe.com or www.3stepstoglutenfreeliving.com. It’s hard to imagine, as I now sit on my back porch in the bright warm sun, that 24 hours ago I was laying with my eyes blocked in a dark room icing my head to ease the debilitating pain of a migraine. I should’ve known when I couldn’t button my pants yesterday morning, and my right shoulder and neck were starting to throb, that I should’ve stayed in bed. Matter of fact, I did stay in bed for most of the day, which is better than many migraine sufferers who have headaches that last days, weeks or months. I’m lucky because I know what the cause of my headaches are…gluten. Yesterday’s migraine perplexed me because I’m such a careful person when it comes to eating out. Like many gluten-intolerant sufferers, I don’t eat out very often because of the fear of being “glutened” (the name for inadvertently ingesting gluten) so I wasn’t sure what the cause of this headache was. But as I lay in bed last night it dawned on me that I had eaten out two days prior and neglected to tell the waitress that I was gluten-free. I had frequented this particular local breakfast spot many times before with no problems, but this time I let my guard down and forgot to say the words “I’m gluten-free” when ordering my food. This morning I looked at myself in the mirror and although my eyes were still swollen, the scale was 2 pounds lighter from the previous days inflammation decreasing. Sadly, I was still anxious trying to figure out if another day of pain was ahead of me. Thankfully, as the day went on and there was no sign of pain, like a butterfly emerging from a cocoon, I ventured outside into the sunshine to enjoy the day. I sat down to write this post and found an article from Dr. Mark Hyman titled How to End Migraines. It shocked me that more than 10 million Americans suffer from migraines, and many may find relief by removing gluten and don’t know it. As with many gluten related symptoms, there are very few studies that link migraines directly with gluten consumption, but in my case (and I’m sure with many others) the pain of a headache doesn’t occur until 24-48 hours after ingestion, so it’s difficult to connect food with the pain for many people. My own experience connecting my head pain with food came when my neurologist completed all his testing only to recommend two different treatment plans. One choice was high doses of riboflavin (B2) and the alternative was daily pharmaceutical migraine medicine. Two extremes, but I chose to try the B-supplement as a conservative approach. Lucky for me it worked and lead me down the path to find I was extremely vitamin deficient (B) and anemic and that gluten was my poison. It was like an onion, peeling away each layer eventually getting me to the core problem. Be a detective and keep a food/symptom log to try and connect which foods may be a trigger for inflammation. Remember that symptoms could take 24-48 hours to show up after ingestion of gluten, so you need to be a detective and analyze the data after you write it for a period of time. Keep special notes on ingredients like, chocolate, dairy, eggs, artificial sweeteners, sugar and other common migraine food triggers. It may not be gluten, but another food or combination of foods that you need to avoid. There are lots of great apps to keep on your phone (Food Diary, Migraine Buddy, Migraine Triggers) and even more examples of written food logs on Pinterest and on the web. Here’s an example of one I found on Pinterest, but you can make one on your own computer as well. Make an appointment with your doctor/neurologist and bring your personal food log data with you. Ask for blood tests for possible nutritional deficiencies (Vitamin B, Iron Magnesium, D, etc.) along with any physical exams they may wish to do. Ask for a Celiac blood test to rule out an autoimmune disease before making any dietary changes. An article posted on USNEWS.Com referenced a study that showed 1/3 of celiac disease or gluten-sensitive sufferers have some form of migraine, so get tested before you give up gluten to get an accurate test result. Don’t do what I did and stop eating gluten before your blood test, you won’t go back and ingest it later to get an accurate result if you start to feel good. In my case, I’ll never know if I have Celiac because I won’t eat it long enough to produce a reaction for a blood test to register. Follow-up with your doctor/neurologist after all the tests and symptom trackers are complete to make a plan to remove possible food triggers (i.e. gluten). When eliminating gluten you need to eliminate it 100% for several weeks or months to start to feel better, so make sure you make a plan before you start a gluten-free diet so you have success with it quickly. My book can help with that part (3 Steps to Gluten-Free Living). Remember, if you have a negative Celiac test, you could still have a gluten sensitivity (which there is no test for), so don’t be discouraged if a blood test doesn’t give you the answer to your headaches, gluten may still be the problem. I used to say that all the time before I went gluten-free. Matter of fact, when I get glutened (name for accidently ingesting gluten), the first things that hurt are my back and neck. Thankfully, I don’t have pain anymore, but this week I attended a talk at our local hospital about the damaging effects of gluten in women with celiac, specifically Calcium and Vitamin D deficiencies and their relationship to osteoporosis. The speaker was Dr. Keith Laskin, MD who went to New York University School of Medicine and is a gastroenterologist in the Philadelphia region. He opened his talk telling the audience about the updated prevalence of celiac (previously 1 in 133 is now 1 in 1001) worldwide and for whatever reasons, is becoming more common. His statistics on the hereditary factors of celiac and how the disease is 65% more common in women was astonishing. No one is really sure why it is more common in women, but in general (and as a woman), I think we take our health much more seriously than men and look for reasons for symptoms rather than just live with them. In the past, doctors would only test patients who were severely malnourished, but now there are many more symptoms that could present as celiac. Patients are getting smarter in asking to be screened for symptoms, like the ones below, which are not the typical G.I. symptoms celiac was thought of presenting. I was familiar with all the symptoms above, but honestly, I didn’t think about bone diseases as being a concern. Boy was I wrong! Until Gluten is removed from a Celiacs diet, nutrients like calcium and vitamin D cannot be absorbed, which puts women at a higher risk of osteoporosis. Osteoporosis is a condition in which bones become less dense and more likely to fracture2. Matter of fact, it puts people at 6 times greater risk of having a hip fracture3. Nutrients like calcium are absorbed in the small intestines, which is the exact spot where Celiacs villi atrophy occurs most frequently. Once a gluten-free diet is in place, there are three things that can be done to support bone health. 1. Good Nutrition: Dark green leafy greens (collard greens, kale, etc. ), broccoli, soy beans, bok choy and even dried figs are good sources of calcium. Dairy products and fortified non-dairy beverages (almond, soy, rice milks) can have as much as 300 mg of calcium as well. Some vitamin D rich foods are egg yolks, saltwater fish and liver. But a supplement might be the easiest and fastest way to get vitamin D, especially if you live in northern areas of the United States. The Vitamin D Council is a great online source for information regarding safety and dosing. 2. Exercise: Weight bearing and muscle strengthening exercise can help strengthen muscle and build bone. 3. Healthy Lifestyle: Smoking and drinking excessively are very detrimental to bone health. Did you know that women who smoke go through menopause earlier than non-smokers resulting in lower estrogen levels which can decrease calcium. Alcohol can suppress new bone growth and not to mention, feeling “tipsy” can cause falls and possible bone break. Dr. Laskin recommended getting a Dexa scan (bone mass test) about one year after adapting a gluten-free diet. It may take up to that amount of time for your body to recover from nutritional deficiencies, depending on how much damage is done to the small intestines. The good news is, adhering to a strict gluten-free diet will allow the gut to heal in most Celiacs. It just may take time, but with good nutrition, exercise and lifestyle changes calcium and vitamin D deficiencies can be reversed. 1. “What Is Celiac Disease? – Celiac Disease Foundation.” Celiac Disease Foundation. N.p., n.d. Web. 22 Jan. 2016. 2. “What People With Celiac Disease Need to Know About Osteoporosis.” What People With Celiac Disease Need to Know About Osteoporosis. N.p., n.d. Web. 22 Jan. 2016. 3. 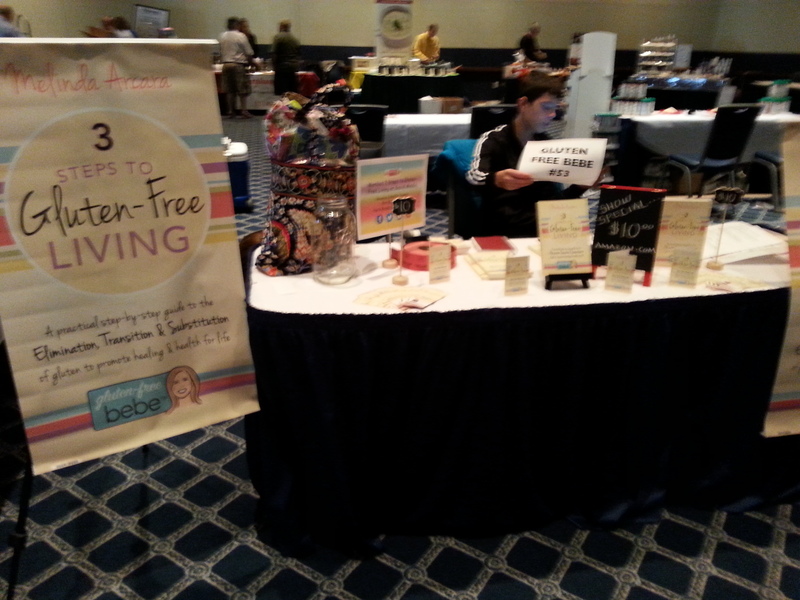 “Celiac Disease: The Medical Case for Gluten Free in Women”. By Keith Laskin. Paoli Hospital, Paoli, PA. 20 Jan. 2016. Performance.